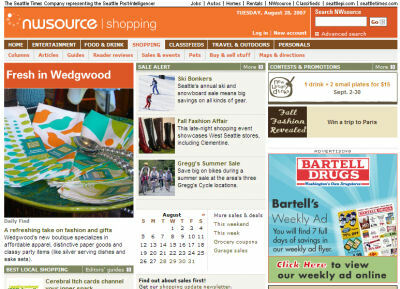 Fresh Profiled on NWSource.com | Welcome to the Fresh Blog! Natalie Bow from NWSource stopped by the store a while ago and wrote this wonderful profile. Thanks so much Natalie, we really appreciate the kind words and hope you’ll stop by to say hello again soon! That’s fantastic, gals! I’m telling everyone I know about your great store!